I began business in 2007 and have been dealing with PowerVac since that date. During this time I have found PowerVac to offer exemplary service and knowledge for their product range, offering good advice, whilst always bearing my best interests in mind. 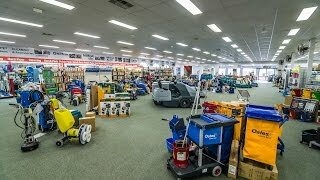 They to me are the “Bunnings” one stop shop for cleaning equipment and accessories. They have always been competitive and the after-hours back up service is second to none.